Cleanse- While it may seem counterintuitive, start your regimen with a gentle oil-based cleanser. Think back to high school chemistry, the theory is that “like attracts like.” A cleansing oil (like Mizon No. 1 King’s Berry) will help remove excess sebum in grease-prone areas like your t-zone but balance any dryness in tighter spots, like cheeks. Tone- For your toner, look for ingredients salicylic acid or anti-bacterial tea tree oil which help keep pores clean. Our favorite, Aromatica Tea Tree Balancing Toner, also contains 93% aloe vera juice to boost moisture. Hydrate– The k-beauty skincare routine might seem laborious but the multiple layers of moisture add hydration without feeling too heavy for combo skin. Layer a light serum with humectants like hyaluronic acid on first, concentrate on areas that are typically prone to feeling tight. Next, spread a lightweight, oil-free lotion to add more hydration. 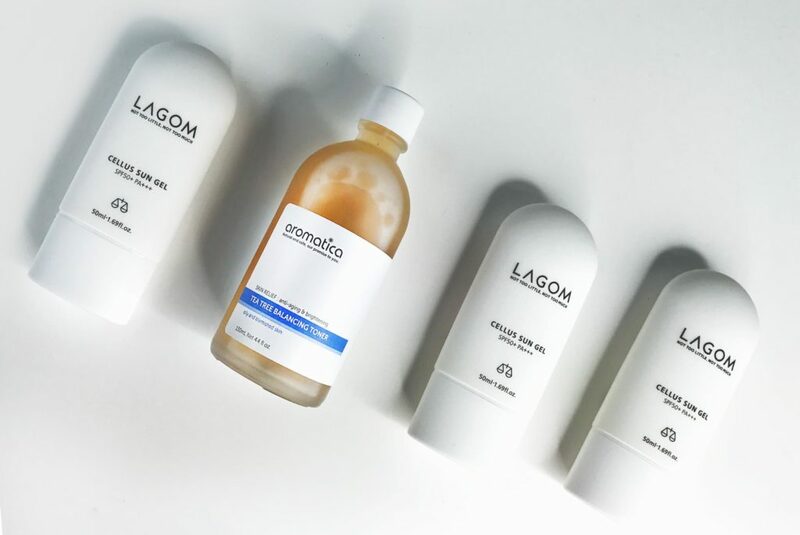 Don’t forget your SPF for daytime (we like Lagom’s breathable gel-like version)! And no matter what skin type you may have, undereye skin is especially thin and prone to dryness, so always pat on a hydrating cream. Treat- Get on the multi-masking trend and use it to your fickle complexion’s benefit. Rather than smearing one mask all over, go for a specialized approach by spot treating. Use a clay mask in oily zones and a hydrating mask on dry areas.